Yes, my friends. When writers draft, we need to do the above. Not only that, but we need more people to look at our words and edit. All. The. Words. But editors only have so much time, and none of those blue boxes which are bigger on the inside (although if you know of a Timelord Editors, I would love to interview them). 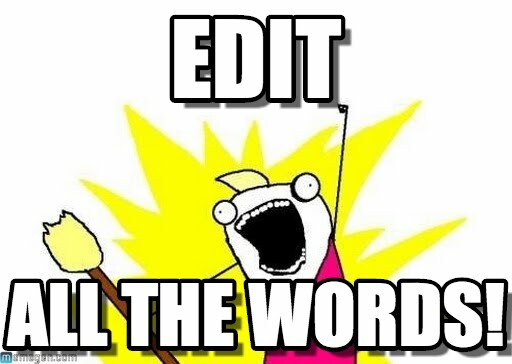 Anyway, because of the limitations on the time-space continuum, it’s a good thing multiple people have decided to offer editing services. Especially people like Ellie Mack, who I just interviewed! Here’s a little bit about Ellie. Ellie Mack received her BS in cartography from Southeast Missouri State University. After leaving the corporate world for the title of MOM, she has pursued her writing dreams. Nowadays Ellie charts unmapped territory through her fiction and humor writing. She lives near St. Louis with her husband of 30 years and their two teen daughters. 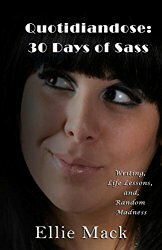 When she’s not writing, she can be found scrapbooking, crocheting, or cooking. You can find her musings on her blog Quotidiandose. Castiel + Pie = Happy Ellie. E.M.- DC Villains, Marvel heroes! D.R.- What is your favorite color? D.R.- What is your favorite song and why? E.M.- This changes nearly as often as the Billboard charts because there is always a cool new song. Currently, my favorite is “Try Everything” by Shakira. My second favorite right now is Trust You by Rob Thomas, and then Smooth by Rob Thomas and Carlos Santana. D.R.- Why do you love/hate winter? E.M.- I love winter because of the cooler weather. I love snow, absolutely love snow. I hate the bitter cold temperatures we get in January. I think when I get older, I will become a snowbird and flee to Florida. Yes, I will be one of those cranky old women walking around with funky sunglasses on. E.M.- This probably is going to sound really mean. I’m not really a mean person, truly I’m not. My idea came from reading Indy books that were atrocious. The story would be fine, but oh my gosh the grammatical errors, tense shifts, ever changing POV’s, all telling and no showing – it was a natural fit for me being a grammar Nazi. D.R.- What genres do you feel comfortable supporting? 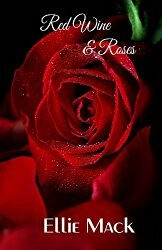 E.M.- Romance, paranormal fantasy, science fiction, mystery, suspense. I’ve supported others as well, but those are the ones I feel the most comfortable with. E.M.- As an editor – different levels of editing services. The basic package is grammatical, context, and story arc. The master level is a line edit, sentence structure evaluation as well as grammatical, context, and story arc. There are other levels between the two. My prices are very reasonable. Right now with my Penned Con sale, it’s 16% off all services. As a blogger I try to host at least one author, writing professional a month. Sometimes I do more. Over the summer, I had a guest scheduled for every Wednesday. For a guest spot, pm me on Facebook or email me. D.R.- Do you have any goods/services that might benefit readers or other artists? E.M.- Absolutely! Every writer needs an editor. I am an editor and I need someone else to edit my work. I can revise a story ten times, practically have it memorized word for word, but I become blind to my own issues. These can be simple things like overused phrases, repetitious words, incorrect words like irregardless, or massive plot holes that you could drive a semi-truck through. D.R.- Do you do live events? E.M.- Yes! As a matter of fact, I am doing Penned Con next week, September 23, and 24 at St. Louis City Center Hotel; 400 South 14th Street; ST. Louis, MO 63103. There are going to be over 950 people there. 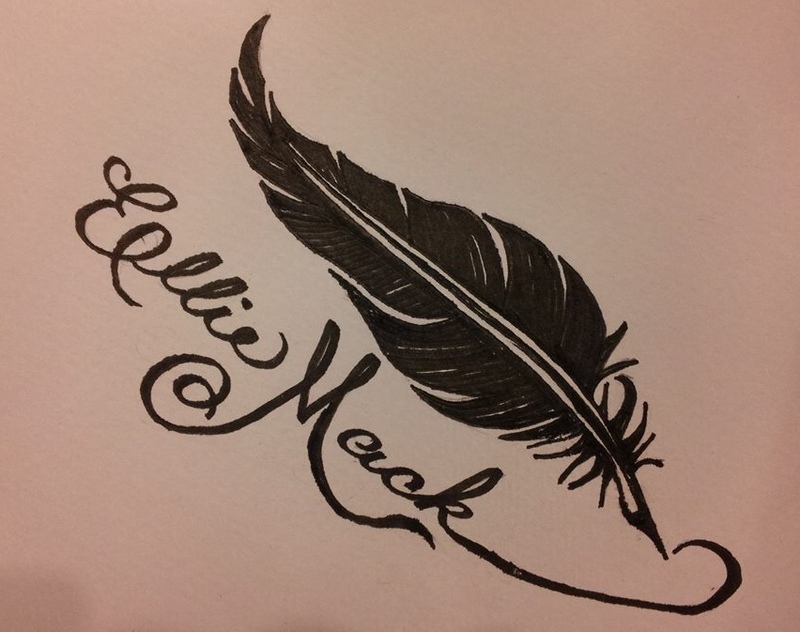 Click the book covers to find links to Ellie’s work. And if you’re in St. Louis, check out Penned Con. It’s for a great cause!